HID Global announced the completion of its parent company ASSA ABLOY’s acquisition of ActivIdentity. The acquisition will expand HID Global’s logical access offering and create a portfolio of converged physical and logical access solutions. ActivIdentity’s solutions are used to establish a person’s identity for digital interactions, also known as logical access control. There is growing demand to combine this capability with the kinds of solutions that HID has offered for physical access control and secure card issuance. These converged solutions will enable a single smart card to support multiple authentication methods and enforce policies throughout the enterprise, providing multilayered security across company networks, systems and facilities, protecting an organization’s intellectual property and information assets. 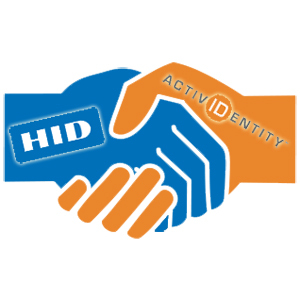 As part of HID’s Global Identity and Access Management business, ActivIdentity will extend HID’s logical access control offering to include identity assurance products that help commercial and government organizations defend against security threats and meet compliance requirements while streamlining their infrastructure and simplifying the user experience. Extend ActivIdentity’s current identity assurance solutions for enterprise markets with new, innovative capabilities. Further expand HID’s government business to include a fully compliant suite of credential assurance and logical-physical access verification products that are already trusted worldwide by millions of government employees, across hundreds of agencies. Combine ActivIdentity’s strengths in user authentication for online banking and commerce with HID Global’s industry-leading payment solutions to offer a more complete portfolio for the fast-growing mobile commerce and banking markets.